Little Magpie: What’s In My Suitcase? 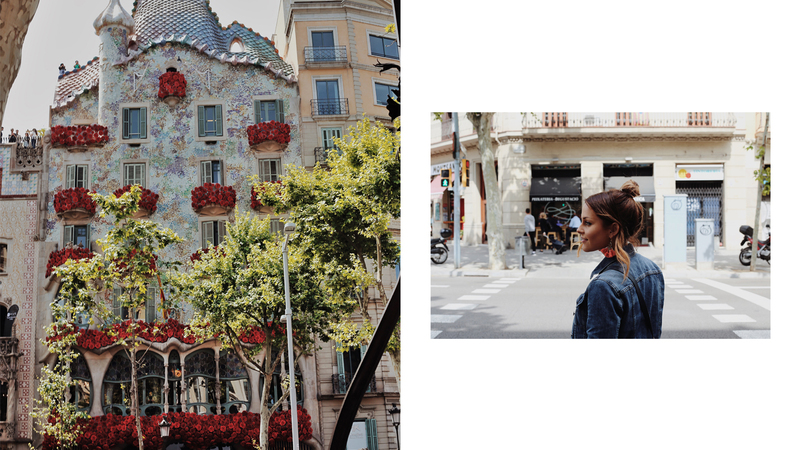 I’ve just got back from Barcelona which was great – it’s got the perfect mix of city and beach life. I’m off to Lisbon next which should be lovely. It’s somewhere that’s been on my bucket list for a while now so I can’t wait to finally visit. What are you looking forward to most about the trip? Everything! The food in particular I’ve heard is amazing. I live in Scotland so it’ll be nice to escape the cold and feel some sun on my bones as well. What is your ultimate summer track? There are too many to name! Paolo Nutini is a long-term love of mine so I’d have to say him, and I’ve also recently discovered Leon Bridges who I love. In terms of ultimate summer soundtrack though… I’d say it’s got to be a bit of Bob Marley. What are your go-to Accessorize pieces for your pack list and why? I LOVE this choker – it’s so different to anything else I’ve seen on the high street and it’s great for adding a bit of a pop to an outfit. Plus, you can’t go wrong with black and white! I’m a sunglasses fiend and these are my go-to pair right now. The shape is so flattering on and the blue tinted lenses makes them stand out a bit from your usual styles. #InTheMoment: Your Summer Starts Here!